We follow the globally accepted packaging norms that help us in delivering the products safely. Our professionals ensure that the packing material we use keeps the product safe from external damaging factors. Our company is well versed with online as well as traditional payment methods. As per requirements of patrons, we can sign an agreement for payment with suitable terms and conditions. Rajshree Overseas is one of the most reputed exporters in all kinds of Nickel Alloy Plates Manufacturer in Mumbai India. 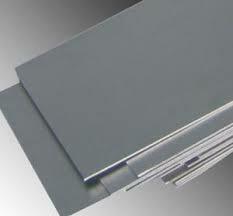 We provide nickel and High Alloy Nickel Plates in different type of thickness, specification, grades and dimensions.